Barbie is one of the most well-known fashion dolls in the world. From the moment the doll burst onto the toy scene, she’s been a consistent bestseller that’s loved by children and collectors alike. The Barbie doll was created by Ruth Handler in 1959 and is called Barbie, named after Ruth’s daughter, Barbara. The doll has a complete line of fashion accessories, clothes, bags and shoes. My little girls have a few set of Barbie clothes and they like dressing up Barbie in different styles every now and then. They also like Ken, Barbie's boyfriend, who was introduced to the world in 1961 and was named after Ruth’s son, Ken. There are so many versions of the doll that you can buy along with her plentiful accessories, Barbie dream house, playsets and even household items like bedding. Many of the Barbie dolls are created after movie characters and some are created with a particular career, such as Barbie as a veterinarian or a pediatrician. Here are just a few Barbie dolls and her sister and boyfriend, Ken dolls. 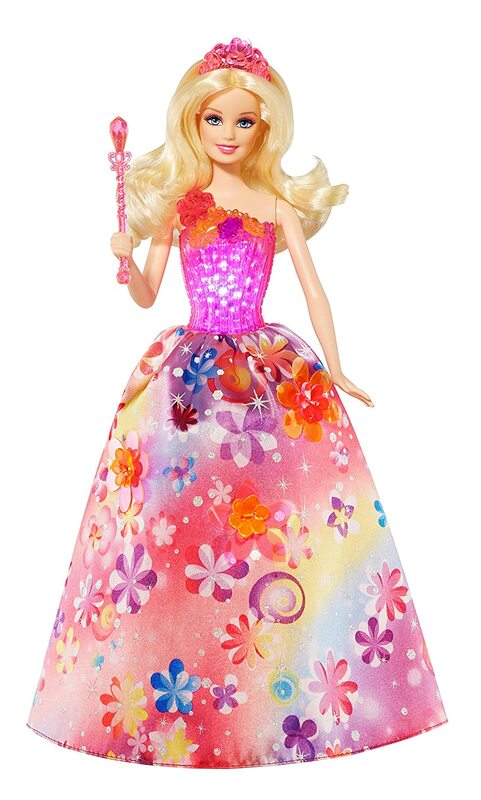 This is a princess doll based on the story of Barbie and The Secret Door. The doll can play tunes from the movie and comes with a magical light up bodice. The neon skirt of her dress shimmers with beautiful flowers. The doll comes with a wand and tiara and the batteries are included with the doll. Barbie is all ready for summer with her stylish swimsuit and sunglasses. This doll will go great with the Barbie Glam Pool. Now Barbie can have all her friends over for a day of fun in the sun. The pool comes with a slide, an umbrella and tropical drinks. My kids got these Barbie dolls and Glam Pool as a Christmas gift from their uncle last year and they literally have fun playing with this. Barbie’s sister, Skipper, is also available with the Barbie Sisters Skipper Doll and Tiki Hut Playset. The set comes with the doll, the tiki hut, a volleyball net and ball for games with friends, drinks, stools, a cash register, sunglasses, flippers, a snorkel and more. The Ken doll is a great doll to go along with your Barbie dolls. You can get Barbie Beach Ken Doll if you’re looking for a Ken doll to go along with your Barbie pool accessories. Or you can get the doll as part of a two pack set in the Barbie Careers Barbie and Ken Doll Giftset. 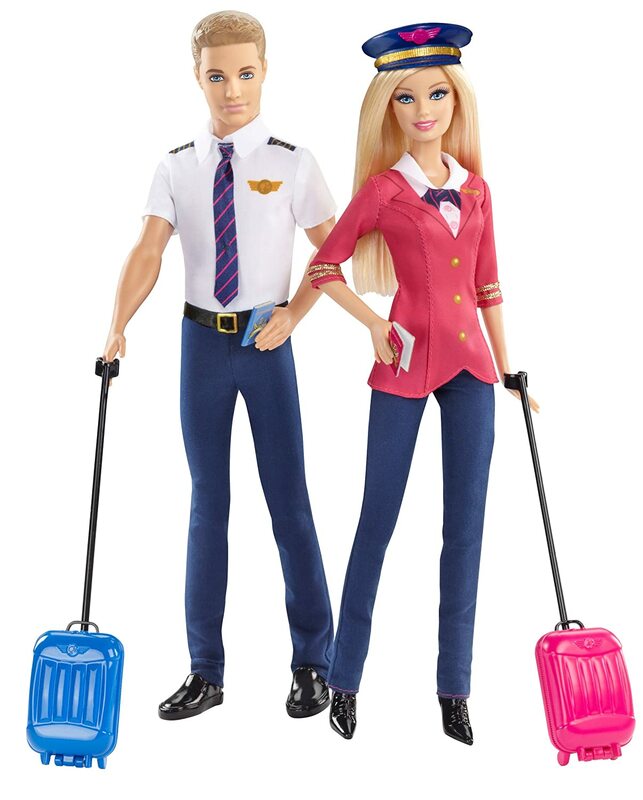 This set has both dolls dressed in pilot outfits complete with luggage and passports. 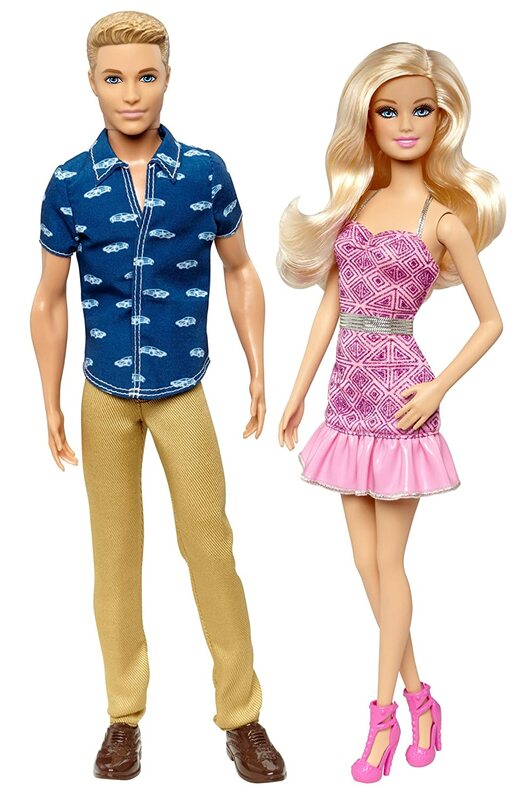 But if you’re looking for a more relaxed Barbie and Ken, you can go with the Barbie and Ken Date Night Doll, which is also a two pack set. Every year, Mattel releases a new Holiday Barbie doll that delights children and collectors. These are very popular. The Barbie Collector 2014 Holiday Doll wears a stunning red gown with gold lace accents. This year's Barbie Collector 2015 Holiday doll wears a festive garnet-colored gown with silvery accents and accessories. Her hair has glamorous loose curls that showcase a pair of ornate earrings. There are plenty of dolls to choose from the Barbie and friends collection. Let me know which one you bought and if your girls like them.